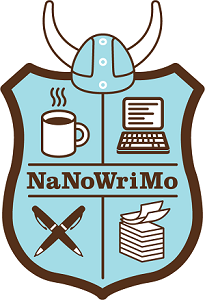 Come Write In for National Novel Writing Month (NaNoWriMo)! Anyone writing or thinking about writing a novel is invited to come to Fairmount’s Book Nook and work on that novel. We will have comfy seating with electrical outlets nearby for your laptop, snacks, and access to library resources. The goal during NaNoWriMo is for writers to complete 50,000 words by writing every day during the month of November.